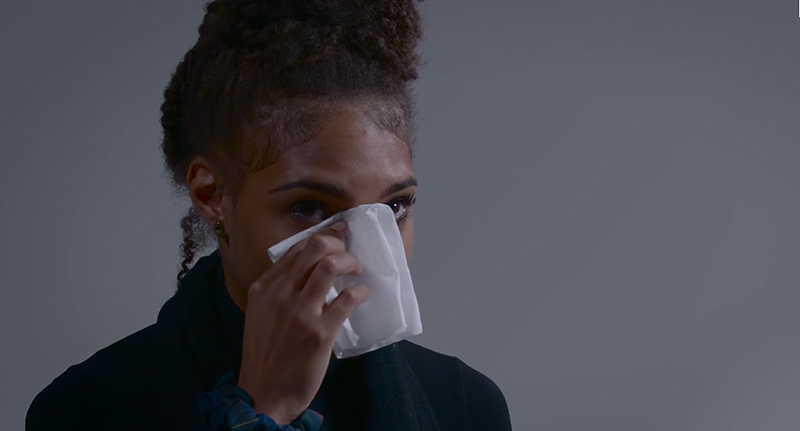 A woman confronts her ex, who cheated on her so many times he lost count of his infidelities, in a heart-wrenching viral video. Kourtney Jorge and Leonard Long III, two young American exes, bravely confront each other in the name of healing and moving on after their painful break up on The Scene‘s YouTube channel. Rather callously named ‘Hurt Bae’ by Twitter, a raw and emotional Kourtney was given the chance to ask her ex why he cheated. One time I went to his room and he had someone else in his room and he told me to leave. And I went back to my room and I just cried… The whole night. Responding to Kourtney’s upsetting account – the likes of which drove her to check his phone in fits of distrust – Leonard explained why he cheated with the audacity of a bull in a china shop trampling all over his ex’s shattered feelings and fragile ego. There was kind of a point when things weren’t the same. Just like, you would always go through my phone or my computer. If you would go to that measure to find whatever, why wouldn’t you just leave? Undoubtedly, Leonard’s inability to take responsibility for his wrong-doings will grate on the nerves of anyone who has been been in a skewed, ego-damaging relationship. Equally, his advice to ‘just leave’ is about as helpful as a hole in the head. Upon hearing his callous response, Kourtney took some time to compose herself. It had more to do with me just not being able to commit because at the time I really didn’t want to. Sometimes we’re just not on the same page. There’s nothing that you could’ve done differently that would’ve prevented it. I think you did everything that you needed to do to be a good girlfriend and I was lucky to have someone like you. At least #Hurtbae got a chance to confront him. Most of us end relationships not knowing why dude did whatever he did. If you’re going through a bad break up, The Scene‘s experiment might make you empathise with Kourtney – or Leonard – and feel things that reopen old wounds. But at least the confrontation shows that there’s a light at the end of the tunnel, albeit the cold and callous light of hindsight shining on an ex who wasn’t the person you thought.